Join the Flyous Facebook fan page and stand a chance to win a FREE copy of Delivering Happiness by Tony Hsieh of Zappos. We'll mail a copy of the book to one random fan picked from the list of our Flyous Facebook fan page on the 14th of June 2010. Join Flyous fan page now. Tony Hsieh is the current CEO of online shoe and clothing shop Zappos.com. Prior to joining Zappos, Hsieh co-founded and sold the internet advertising network LinkExchange to Microsoft for $265M in 1998. Hsieh graduated from Harvard University with a BA in Computer Science. He is a second-generation Taiwanese American. On July 22, 2009 Amazon.com announced the acquisition of Zappos.com in a deal valued at approximately $887.9mm. He is said to have made at least $214 million from the sale not including money made through his former investment firm Venture Frogs. 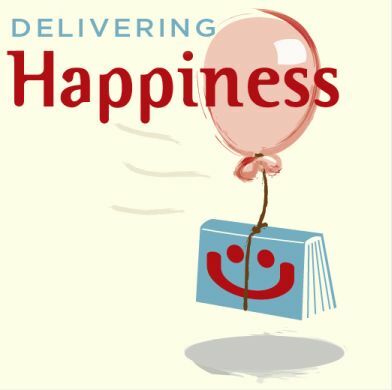 Check out his book Delivering Happiness.